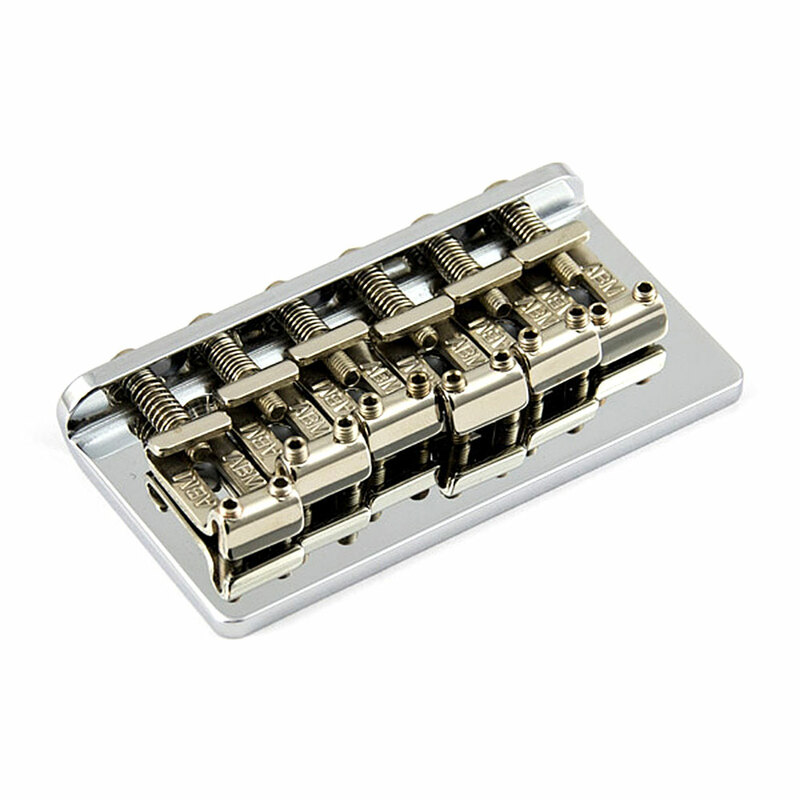 The ABM 3255 Hardtail is a premium quality fixed bridge with a chrome plated brass base plate and vintage style nickel plated bent sheet steel saddles. The cold rolled steel saddles are more precisely shaped around the height adjustment screws and so the screws are supported all the way down, this means shorter height adjustment screws can be used making it more comfortable on the hand and more stable. 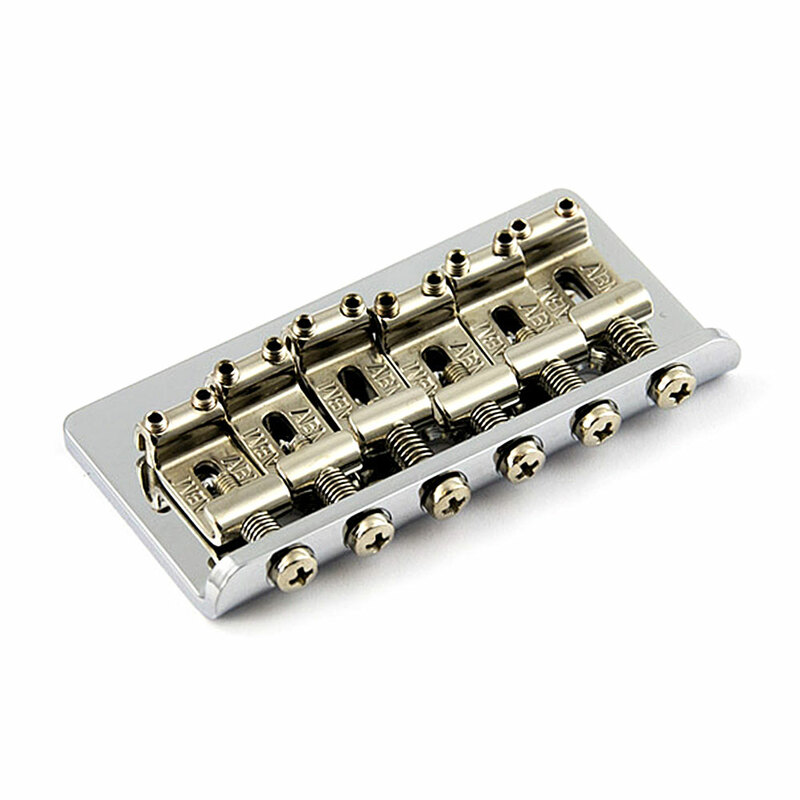 The bridge uses string through body anchoring (back body ferrules included) and the string holes in the base plate have a smooth bevel to ensure the strings do not rest against a sharp edge. The classic hardtail design is quick and easy to restring, make action adjustments and intonate.